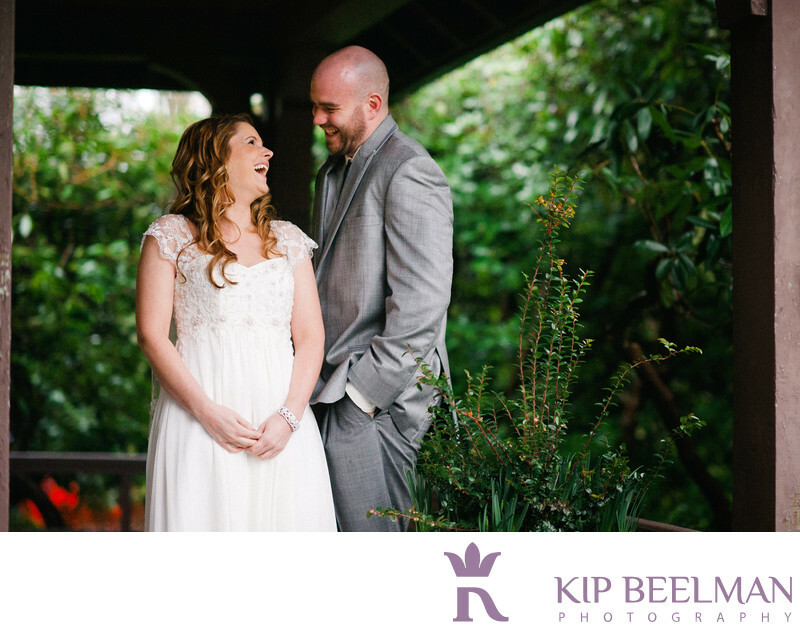 Whether you are at a mansion or park, indoors or out, wedding photography can always capture the light moments of humor, laughter and enjoyment. And despite the downpour, no one’s day was rained on when this couple celebrated their nuptials. In fact, Clise Manson at Marymoor Park offered spectacular photographic opportunities for reveling in the small moments and recognizing that the little things add up to be a pretty big deal. Located in Redmond, Washington, about 25 minutes east of Seattle, Clise Mansion at Marymoor Park is a classic, early 1900s country estate that is located in the county’s most popular park. The setting marries the beautiful outdoors with the charming indoors. Likewise, we married light and serious, modern and timeless, and elegance and casual in both their wedding photography and experience. This winter wedding allowed for photography in the spacious rooms inside while the wedding party prepared for the day, thanks to generous windows that let in some light on a rainy day. While wedding portraits centered on this cozy porch and a striking interior hallway due to the rain, the ceremony was that much more intimate since it – and the couple – was illuminated just by twinkle lights. The eventful day concluded with a rocking party with a live band as well as the bride hopping up on stage to sing two numbers (she could have been a member of the band, her singing was that impressive). The rain, the music and the laughter created an unforgettable atmosphere and an unforgettable wedding celebration. Location: 6046 West Lake Sammamish Pkwy NE, Redmond, WA 98052. Keywords: Clise Mansion (3), Estate wedding (24), Low Light Wedding (12), Redmond (3).